You really can't beat the ease and convenience of an online drugstore, it's a particularly great idea if you are not able to physically get around, the weather is miserable or you don't drive. If you have some safety concerns about ordering your medications online, so you should. There are some real problems with buying meds online and should be as informed as you can before you place an order. The simple answer is, yes. Yes, it is a safe method of getting your medications, but not all of them are. There are a few things you should know before ordering. If they are willing to fill your order without a prescription from your doctor, they are not functioning within the law. If they don't require you to have one and are willing to fill your order, you should not accept. They need to have a provincial Government issued license to operate and sell drugs. 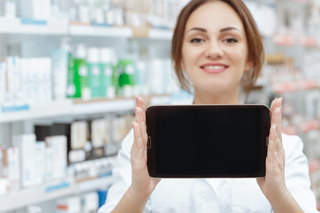 You might find all kinds of online drugstores willing to take your order, but unless they are licensed, you don't want to risk it. This includes a drug identification number. You can find their license right on the website, so look for that and rest assured they have it. Claims of some miracle drug that will cure-all are likely just a bottle of candy. very expensive candy. Never allow your regular medicine to be traded for something else unless it's just the generic brand. The risks in trusting a rouge online drugstore can several and severe. First, you do not want to take any medications you got from a place that does not stand up to the legal requirements. The medications could be wrong, they could be out-of-date or discontinued. You also risk losing your money. This is particularly worrisome if you pay with your credit card. Don't be fooled by someone offering cheaper medications, even if they look like the ones you normally take. As there are many stores that sell online to American customers, some of these pharmacies are actually located outside of Canada. You ideally will want to get your medications closer to home, to save on cost and delivery times. The advantages of buying your medications from an online drugstore make it all worth the while. You simply place an order and it shows up on your doorstep. You don't have to go out, find parking or pack up the kids. You don't need to leave the house, which is perfect if you have mobility problems. If the weather is uncooperative, you don't need to go out in it and if you don't drive, it can be a real hassle. If you need a prescription filled regularly, and you don't drive, it can be very frustrating having to take public transit, walking there in cold or hot weather and you can feel like you are inconveniencing people when you have to depend on them for favors. You pay less for the meds from an Internet drugstore because you are not paying for all the other services. First, you are not helping to pay the rent and utilities from a fancy pharmacy and all of the other parts that go with it. The online drugstore only deals with medications, so that's all the service you have to pay for. You also have the option to buy generic brands of your medications, if they are available, and that can save a lot of money. You don't have to pay for your other costs involved, the car, or gas, parking, or the fare for transit, or the price you pay to have your son-in-law have to drive you and the ear-ache that can cause. Sometimes a physical pharmacy can be busy and the last thing you need is to be picking up your medication for something embarrassing or delicate and run into your gossipy neighbor. Ordering from an online pharmacy eliminates that worry and the fear that someone else will know your personal business. This is perfect if you are ordering medications for erectile dysfunction, sexually transmitted diseases or other personal items. You can buy over the counter medications online, as well, without the hassle and worry of someone finding out your personal business. You can add other items to your prescribed order. If this is your first time ordering online, ask your healthcare provider about what is the best way and for recommendations. They may have an online drugstore that they use. It is very easy to order your meds online. When you go on to place your order, there will be a space for you to put your prescription number. You put that in, they will check that it matches and you can place your order. You can get an app for your phone, or even call it in to order from the online drugstore. Once you have your prescription with them, it is easy to refill that prescription. Just like with anything else related to your health, if you have any questions, ask your online pharmacist. If you want the generic brands, if there are side effects, is there an extra cost for shipping or delivery, anything that is worrying you. Just because healthcare has some conveniences, it also means there are people willing to take advantage. Just be smart, ask for recommendations and don't take chances with your health and your medications. The online drugstore opens up many possibilities and conveniences, especially for those who wish for a bit of discretion. It's as easy as placing your order, the medications will arrive at your door.